The paper presents a system of indicators used for monitoring and evaluation of karst processes. It details the quantitative indicators of the surface displays of karst processes, undersurface karst processes and underground hydrology displays. The indicators characterizing the undersurface forms of karst processes include the following: karst area infestation rate, karst form intensity rate, average frequency of karst formation, areal rate of karst area infestation , the average annual rate of karst area infestation, the volumetric rate of karst infestation, karst formation volume factor, an average annual expansion of karst area, the depth and the diameter of specific karst forms, indicator of the sinkholes depth, the rate of karst expansion size. The indicators characterizing the underground forms of karst processes are: the linear coefficient of internal karst formation, the linear coefficient of external karst formation, the linear coefficient of the total karst formation, the linear coefficient of surface karst formation, the abnormality coefficient, the linear density of karst cavities, the areal density of karst cavities, the volume density of karst cavities, karst processes activity rate, the total deposition of study area, the dissolution layer rate. The indicators characterizing the hydrological regime of the area involve the groundwater level, the rate of groundwater flow, the groundwater temperature, the chemical composition of groundwater, filtration rate of groundwater, fluctuations rate of karst springs flow rate, underground karst denudation, water saturation deficit of calcium sulfate, fluctuation rate of karst water mineralization, activity production of calcium and sulfate, calcium and carbonate, the leaching gradient. Keywords: karst, karst processes, monitoring, karst surface forms, undersurface karst forms, groundwater. 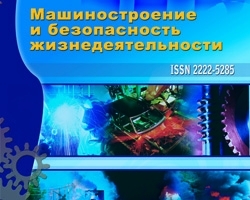 Bondarik G.K., Pendin V.V., Jarg L.A. Engineering Geodynamics – Moskow: KDU 2009. – 440 p.
GOST R 22.1.06-99. «Safety in emergencies. Monitoring and forecasting of hazardous geological phenomena and processes. General requirements» – Moskow: 1999. Kostarev V.P. The quantitative indicators of karst and their use in engineering-geological assessment of karst territories // Engineering and construction surveying, 1979, № 1. Problems of studying caverns mountain regions of the USSR. – Tashkent: Fan Uzbek SSR, 1983. – 150 p.
Design, construction and operation of the roadbed in karst areas. – Moscow: Transport, 1968. Rodionov N.V. Engineering-geological studies in karst areas. – Moscow: Gosgeoltechizdat, 1958. Guidelines for geotechnical investigations in areas of karst. – Moscow: PNIIIS, 1995. – 167p. Sevarensky I.A. Engineering-geological assessment of karst phenomena in the area of Dzerzhinsk // Proceedings of the laboratory Giedre Geological Problems F.P. Savarensky, 1962, vol. 47. Tolmachev V.V. Engineering and building development of karst territories / V.V. Tolmachev, G.M. Troitsky, V.P. Homenko; Ed. E.A. Sorochana. – M. ​​Stroyizdat, 1986. – 176 p.
Indicators for monitoring and assessment of karst processes, №1 (15) 2013, Sharapov R.V.